I’ve previously reviewed Immrama’s Insight CD. That CD is a great tool to relax the mind and expand its possibilities using binaural beat brainwave technology. Another product that Immrama Institute offers is a 2-CD set called “Focus” and it is intended for a totally different purpose. As the name “Focus” might suggest, the audio on this set is intended to let you perform your work better, more productively. It achieves this by utilizing the same binaural beats technology overlaid over the soothing sound of rain, as the in Insight CD. On the pure auditory level, both sets sound literally the same, since the binaural beats, which create the different brainwave patterns, cannot be discerned from the audio of the rain. The set consists of 3 tracks spread over the two CDs. Disc 1 contains one 72-minute long track, called Clarity. It is intended to be used for a relaxed concentration, like when reading or engaging in a hobby, or during exercise sessions, helping athlete to get into the “zone”. This track uses the Alpha brainwave state. Disc 2 contains two tracks. The first, called Focus is 50 minutes in length and are intended for tasks that require high attention, like working, studying etc. It uses Beta brainwaves to achieve this. Last track, Envision, is 22 minutes long to facilitate creativity. Maybe used for quick problem solving or brainstorming sessions. It utilizes Alpha and Theta brainwaves. My experience with these CDs was very positive. I have used them several times while programming, mostly. Listening allowed me to concentrate on the work. I didn’t procrastinate by going to do other tasks, but rather stayed focused on my tasks. Also, the work was kind of easier and it “flowed” better. I can firmly say that it had a profound impact on my productivity during work. Of course, it’s better to listen to the recording in an environment where you’re less likely to be interrupted. Verdict: Very recommended if you need to improve the productivity of your work or having trouble to concentrate at your tasks. You can read more and purchase Focus 2-CD set from Immrama’s institute’s website. My overall impression of both Immrama’s product left a feeling of professional products that deliver. NextCan parapsychology supporters convert to skeptics? 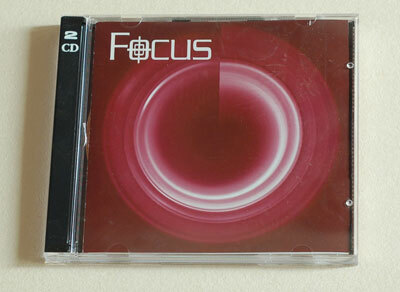 If time permits, would you be so kind as to scan the Focus CD the way you did for the Insight one ?